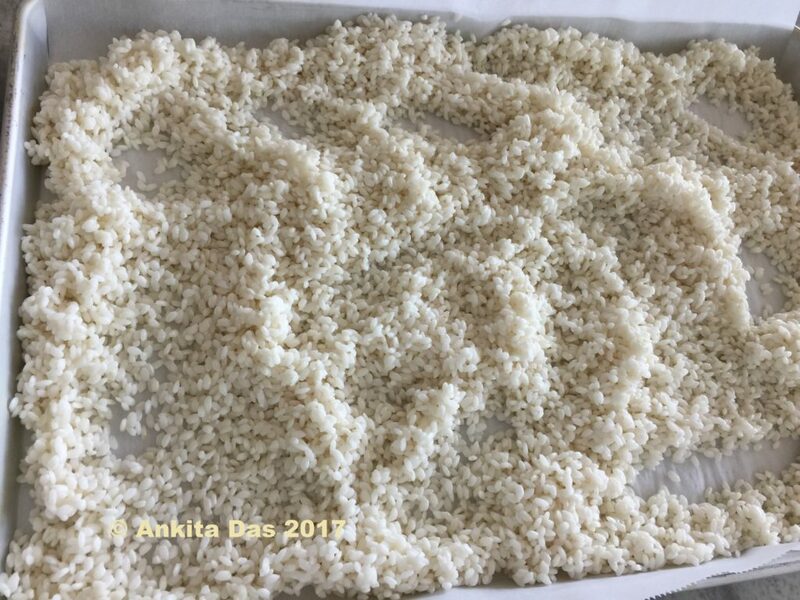 Rice Cake or Til Pitha, as it is known locally is a household favorite in Assam. The combination of soft chewy outer shell and the sweet sticky sesame filling makes it a perfect relish. They are usually made during Bihu – the chief festival of Assam that celebrates the harvesting season. 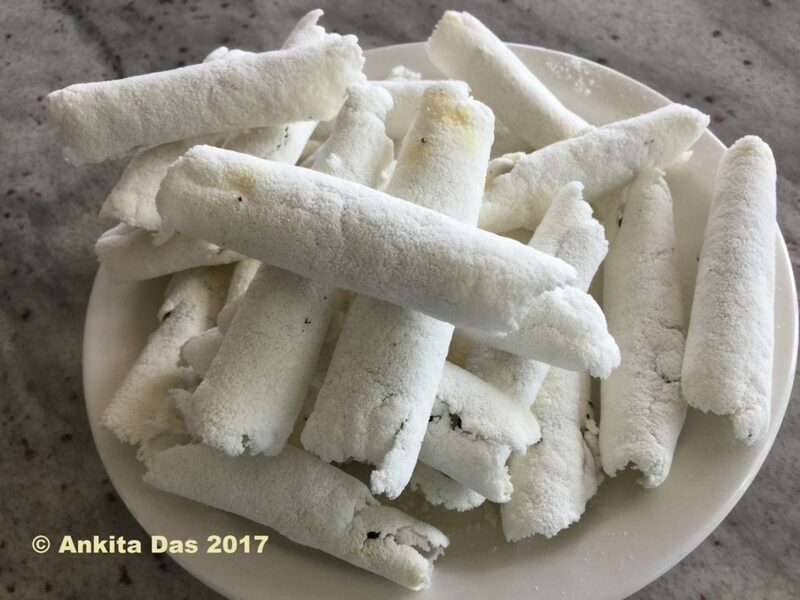 But you can make pithas anytime round the year with just three simple ingredients and indulge in these delicious cookies. Rice cookies filled with sesame and jaggery, locally known as Til Pitha in Assam. Note : Preparation for cooking is quite simple. The key to perfecting the recipe is the technique and more importantly, ensuring the right temperature of the pan. Once you perfect these two key points, the delicious pithas will turn out perfect. Now, press the rice powder in the container to make it air tight and cover it with a wet cloth. This layer will be the outer shell of the Pitha. 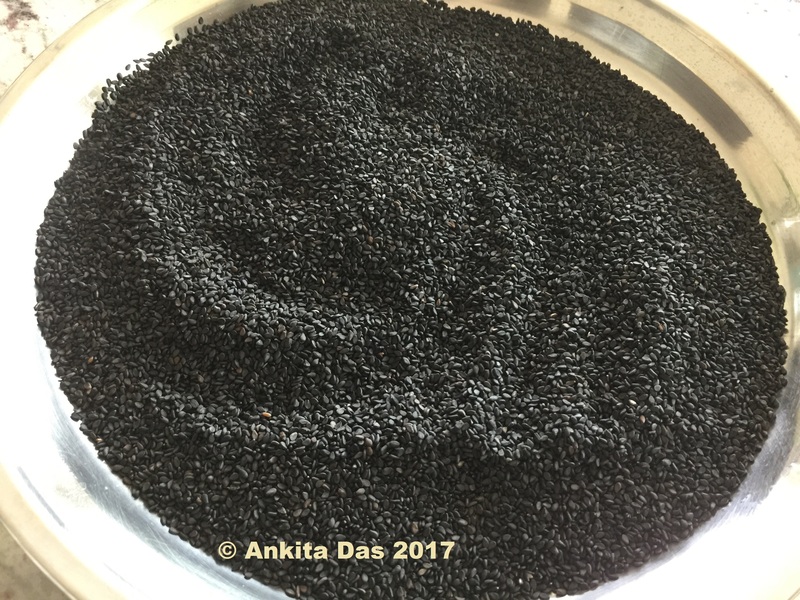 For the filling, wash and strain black sesame seeds, and let it dry. Roast the sesame seeds in a pan or wok until it gives out a nutty fragrance. 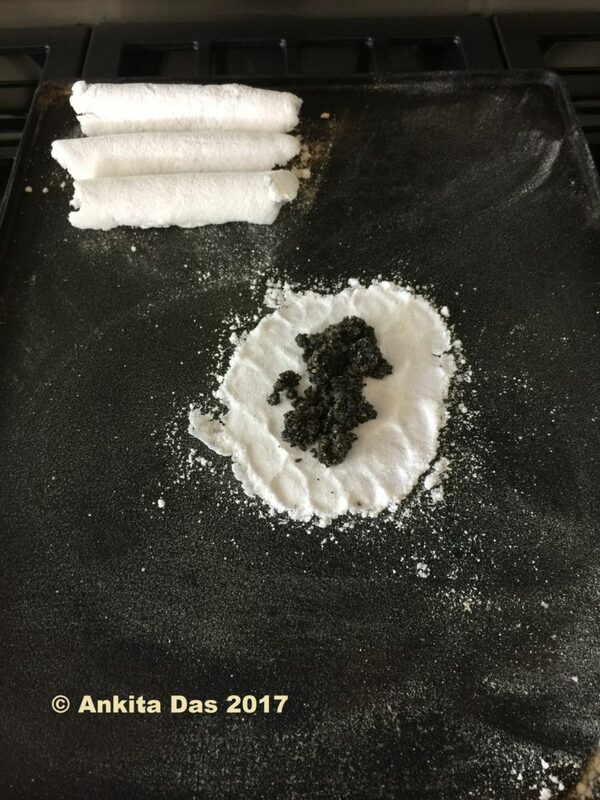 Coarse grind the sesame seeds. Melt jaggery in a pan, and add it to the ground sesame seeds. Filling for the pithas is ready. Scoop out some of the prepared rice flour, and spread the rice flour on the pan and press it gently with your fingers. Now put some sesame filling. Take care not to overfill. Roll up the pithas to your desired shape and gently push it to the edge of the pan and let it finish cooking while you continue making the next pitha. It is as easy as that. The only hard part is to try not to eat the pithas right out of the pan. Enjoy! Serve the cookies with a hot cup of milk tea. 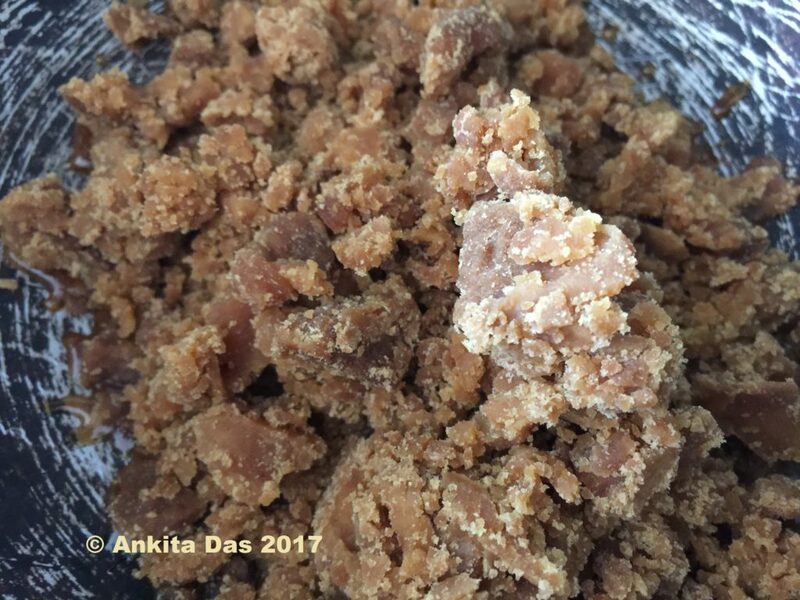 Recipe contributed by Ankita Das – An Assamese at heart; she cooks and writes from her home in Phoenix Arizona.